Since we opened our ‘doors’ in 2010, we’re following quality-first approach. This commitment generating strict standards that we applied to each pair of fine shoes we produce. But sometimes mistakes happened during our crafting activities, small scratch on the leather, loose grain, untidy stitching, etc. But, those shoes are too good to thrown out and we decided to labeling these boots as “Factory Seconds” grade. We offered to you our imperfect product and sample shoes with discounted price depend on the condition of these shoes. 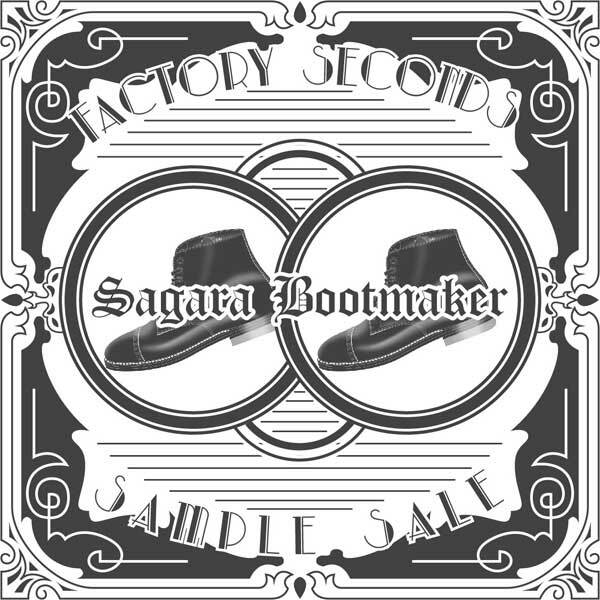 All shoes and boots that labeled Factory Second & Sample are not covered with Sagara One Years Warranty and can’t be refundable (all sales are final). If you’re interested in our Factory Seconds & Sample product, please check the list below and contact us at order@sagarabootmaker.com for more information about this product.